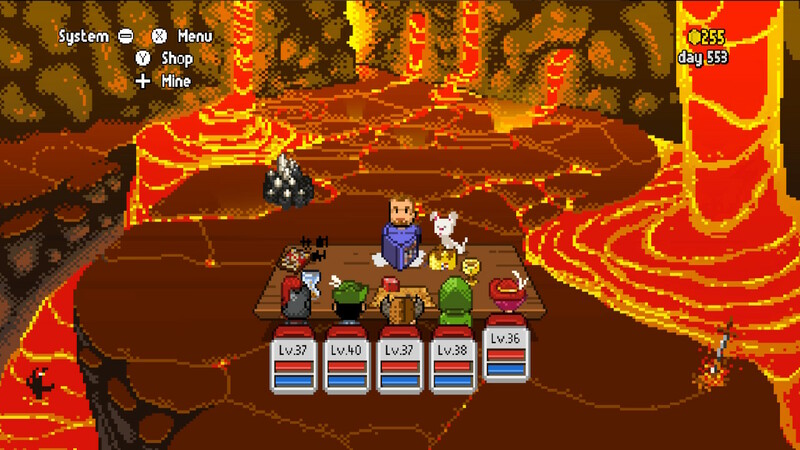 Knights of Pen and Paper +1 Deluxier Edition is built from the very foundation to take you back to the first time you ever played Dungeons and Dragons. The cute retro style works well with the sense of nostalgia woven into every element of the game. 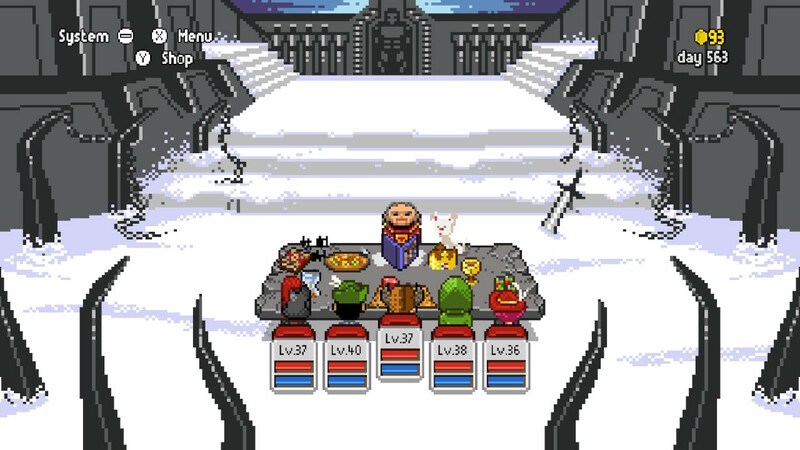 The simple designs of the hero and villain sprites, the map and the different settings all give you just enough of an idea of what is going on. But they leave enough to the imagination that you have the same freedom to create a lot of the world in your own head, as if you were playing with literal pen and paper. The emphasis on your character being a Dungeons and Dragons player, rather than an in-game hero, adds to this. The focus of the screen is your team sitting around a table with a dungeon master guiding them through the story. You can even customise the table you sit around and buy snacks that give your characters a little boost. There’s actually a lot of freedom to customise your team, their skills and your adventure as a whole. 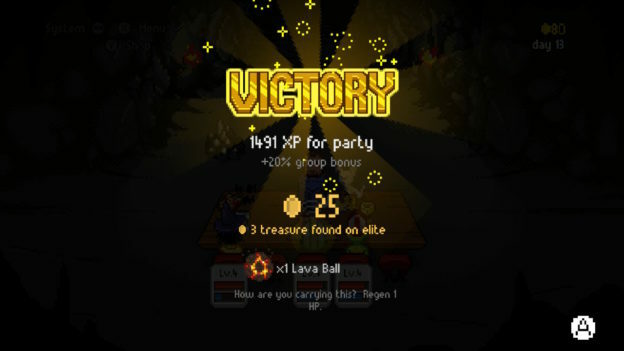 There is a good variety of quests and the narrative isn’t especially strict. This gives you plenty of room to farm experience, or explore new places through side quests or even attempt a quest that is way above your current skill level. It may well cost you most of your gold to revive your team, but you do at least have the opportunity. The game has a great sense of humour throughout. There is some amusing chemistry between the people around the table. The dungeon master will tease the players every now and again, interspersing the occasion “noob” into the otherwise very positive atmosphere he creates. The players will sometimes ask to stop for pizza or to make a call or go for a bathroom break. They do it often enough that you get the occasional laugh, but not so often that it interrupts the actual gameplay. It gives the impression that the game is very self-aware. Even details of the game world add to this. For instance, there is nothing in Farm Village but scarecrows for you to kill so that you can farm experience points. It doesn’t pretend that there aren’t a lot of classic fantasy role play tropes in the game. Instead, it draws attention to them. They don’t detract from the game itself – in fact, they’re at the core of it and they really tap into the nostalgia value. There are enough unique details in the different locations and quests that the game still feels original enough to really enjoy exploring. The way that the quests are designed makes it easy to play casually if you’ve only got small amounts of time free. But it’s equally easy to lose an afternoon playing the game. 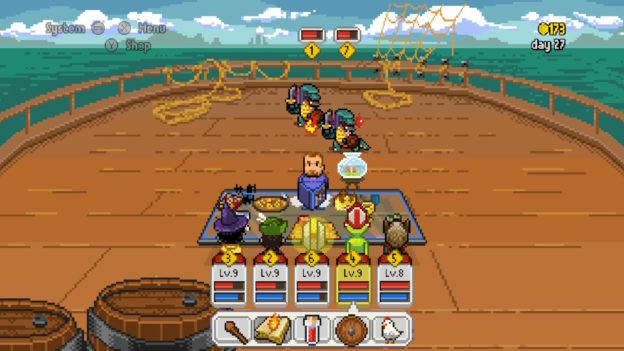 Even the simple, turn-based battle system is surprisingly addictive. The game has been very well crafted. It even manages to make decent use of the Switch controls without over complicating the simple format. Anyone who wants to relive the old school Dungeons and Dragons experience from the peace and comfort of their own space will love Knights of Pen and Paper. It is cute and funny with an adventure that combines classic fantasy with a smart sense of self-awareness. 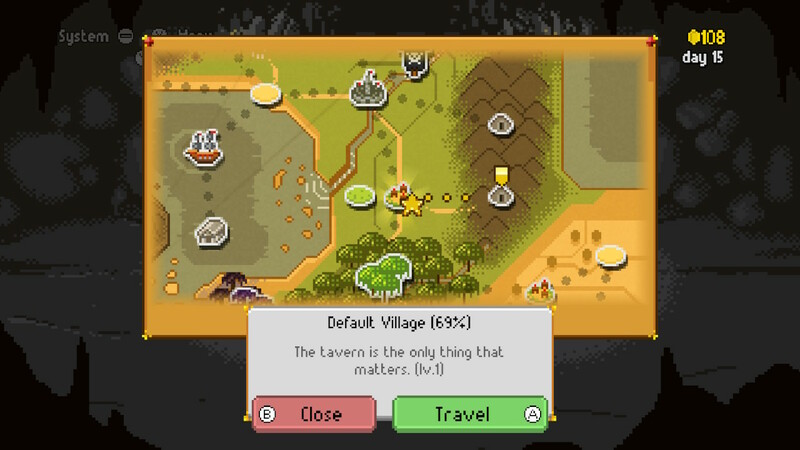 Knights of Pen and Paper is a funny adventure through a classic fantasy map, imbued with nostalgia and humour in equal measure.